Additional exclusions unearthed in the customer disclosure form for the 2010 Nissan GT-R indicate the warranty is voided should you go insane and dyno test it or deny Nissan access to your black box data. Congratulations on your order to purchase a new Nissan GT-R. In order to ensure a well informed decision to purchase a GT-R, maximize your driving satisfaction, and enhance your ownership experience, it is important that you understand that the Nissan GT-R is a low production, high performance sports car which has been designed and manufactured to maximize its performance capabilities. Therefore, the Nissan GT-R offers unique capabilities but also has unique characteristics that are intrinsic to the GT-R's normal operation that are outside of or different from other vehicles. Owning one therefore requires additional and special consideration and understanding regarding the GT-R's driving and operation characteristics, sounds and increased service and maintenance requirements. We encourage you to test drive your GT-R with your GT-R Certified Dealer to better understand its unique characteristics. There may be changes in the specifications of your vehicle, or availability of colors and features. Your dealer will be able to keep you advised of any changes. While there may be changes in final MSRP pricing of your vehicle, in accordance with state law, your actual purchase price will be determined by your selling dealer and subject to your contract(s) with your selling dealer. Before operating your vehicle or contacting your dealership with concerns regarding your vehicle's operations, please carefully read your Owner's Manual, Nissan GT-R Warranty Booklet, and the Service and Maintenance Guide for necessary additional information concerning the proper operation, operational characteristics (including different types of sounds, noises or wear which are normal for this vehicle) and service and maintenance requirements. The brake system is designed for and uses materials which enhance maximum performance under a wide range of operating conditions. Brake sounds such as squeaks and squeals during use are to be expected on this vehicle; this characteristic is intrinsic to this vehicle and cannot be eliminated. The rate of pad and rotor wear may also be greater than you have experienced on other vehicles. The suspension and tires are specially designed for the Nissan GT-R and are designed and calibrated for maximum road performance. The tires and suspension are calibrated to deliver vehicle performance, not a premium luxury ride. As a result, there will be more, different and louder sounds and road feel from the tires and suspension than with other vehicles. These conditions are normal and are to be expected. Different road surfaces will increase or moderate the road noise. Due to the performance capabilities and requirements of the GT-R, the sequential six-speed dual clutch transmission is unlike a typical automatic transmission. You will likely hear pronounced mechanical sounds from the transmission, particularly at slow speeds, at idle and in neutral. This condition is normal. This vehicle is equipped with hill start assist. This system automatically keeps the brakes applied to help prevent the vehicle from rolling backwards in the time it takes to release the brake pedal and apply the accelerator pedal when the vehicle is stopped on a hill. Hill start assist is designed to hold the vehicle for only a short period of time and is not a substitute for proper driving technique. When filling the Nissan GT-R with fuel, do not top off the fuel tank after the automatic shutoff activates. It is possible that spills will occur should the fuel tank continue to be filled beyond the automatic shut-off. The Nissan GT-R requires a special break-in schedule to obtain maximum engine performance and to ensure the future reliability and maximized economy of your new vehicle. Failure to follow these recommendations may result in shortened engine life, reduced engine performance or damage resulting in repairs not covered by your warranty. Refer to the Owner's Manual for details regarding the break-in period. The Nissan GT-R is specially designed and engineered to maximize its performance capabilities and has unique features and service requirements requiring specially trained technicians and some specialized equipment. All warranty repairs may only be completed at a Nissan Certified GT-R dealership, and it is most highly recommended that all services be performed by a Nissan Certified GT-R dealer. Your GT-R's proper operation, including its engine and suspension settings, was specially tested by Nissan after production. Your vehicle will therefore be delivered with some mileage reflected on the odometer. These inspections are required at the following intervals: 1,000 miles, 12 months, 24 months and 36 months. As set out in the GT-R Owner's Manual and Service Maintenance Guide, these Performance Optimization Services will be completed free of charge. The VR38 engine, with its plasma-sprayed bores, was developed using Mobil 1 (0W-40, 100% synthetic) motor oil. This oil should be used to ensure proper engine operation and durability. The VDC unit and other related parts were specially designed for R35 Special 2 Brake Fluid. This brake fluid should be used to ensure the best performance and proper operation of the vehicle. Genuine Nissan Transmission Oil R35 Special (100% synthetic) is unique to the Nissan GT-R and was specially developed to maximize the friction characteristics of the clutch and the lubrication of the gear bearings. This fluid is required and the use of additives is prohibited. To efficiently transfer high power to each axle and to protect the GT-R's mechanical limited slip differential, Castrol SAF-XJ 75W-140 (100% synthetic) high viscosity gear oil was used. Please also note that the coolant mixture ratio impacts cooling performance and freezing temperature. See the Owner's Manual for proper coolant mixture ratio. Brakes: The Nissan GT-R's rotors are cross-drilled with six-piston front and four-piston rear floating calipers, helping to achieve excellent stopping performance and fade resistance. The rotors are not designed to be machined, therefore, all four sets of brake pads and rotors should be replaced at the same time. This is normal maintenance for this vehicle. Tires: The Nissan GT-R is equipped with high performance, low profile, run-flat tires that are optimized for performance and handling. The life of these tires will be less than those of tires installed on a typical vehicle; and you are likely to experience reduced tread life, uneven tire wear and tire noise regardless of the type of tire used. In many situations it may be necessary to replace all four tires if only one tire is worn or damaged. Due to the types of materials used for the body and given the precise assembly of the vehicle, body damage requiring certain repairs will need to be completed at a GT-R Certified body shop. Your Nissan Certified GT-R dealership can direct you to a qualified body shop. Because of the specialized body repair requirements, it may not be unusual for the nearest GT-R Certified body shop to be a considerable distance from either the Nissan Certified GT-R dealership or your current location, requiring additional vehicle transport at your expense. Additionally, repair times for body work may require more time than you may have experienced with other vehicles. The Nissan GT-R is equipped with a Vehicle Status Data Recorder which is capable of recording the vehicle's operating conditions and monitoring component replacement or reprogramming and may be used to perform and administer warranty repairs. Other vehicle operational information may be logged in the Electronic Control Module and the Transmission Control Module which may also be accessed during investigations into component failure and in performing and administering warranty repairs. Additionally, the Nissan GT-R is equipped with an Event Data Recorder which records crash data in the event of a crash. The MY2010 Nissan GT-R features enhanced programming that will optimize clutch-engagement control for improved driveability. The maximum RPM for initial start with VDC ON has been increased, providing increased power at launch with smooth and powerful acceleration which will be improved compared to the original specification MY2009 vehicles prior to implementation of this upgrade. Maximum RPM at launch with VDC OFF (which should only be used when stuck in snow or mud) has been decreased, and acceleration with VDC OFF will be moderated. The GT-R will continue to offer supercar characteristics of exceptional handling, maneuvering, and overall driving experience. You are reminded to drive safely and obey all traffic laws. The GT-R Owner's Manual expressly warns against driving with the VDC OFF (except to free the vehicle when stuck in mud or snow) to avoid damage. Repairs for damage caused by driving with VDC OFF are expressly excluded under the terms of the Nissan GT-R New Car Limited Warranty. To avoid risk for such repairs, you are reminded to drive with VDC ON at all times. Except when stuck, there is no reason to be driving with VDC OFF. Operating the GT-R on a dynamometer, except a dynamometer test performed to comply with applicable local law for emissions testing. 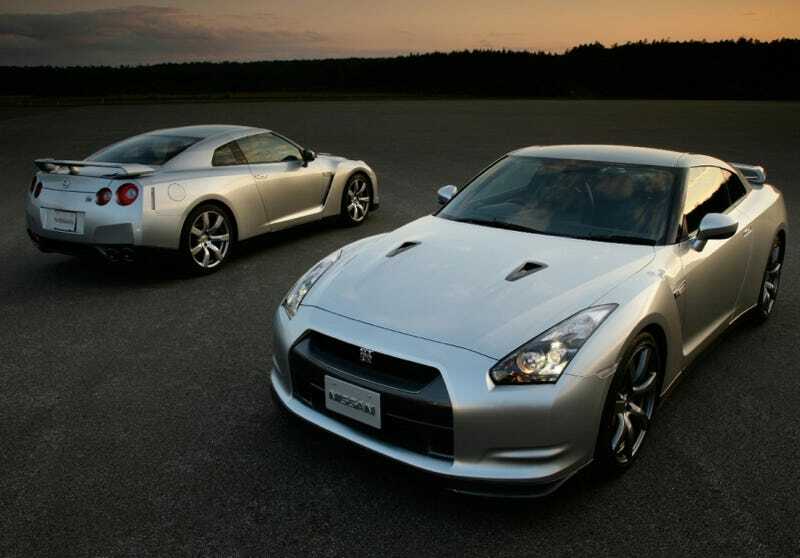 Additionally, some modifications will VOID your GT-R New Vehicle Limited Warranty Coverage. Read your warranty information booklet carefully for specific details of all terms, conditions, limitations and exclusions. Damage to the powertrain, or any drivetrain component(s) that occurs when there is a record in the Vehicle System Data Recorder (VSDR) that the vehicle was driven with the VDC off during the period when the damage was incurred is excluded from coverage under this warranty.